Spellers, are you unsure how to log in and access your Champion Registration? We've included information below explaining where regional spelling bee winners and RSVBee participants can find their login credentials. Congratulations! You won your sponsor's local area spelling bee. Now what? You should have received a champion letter directly from your sponsor on the day you won your regional spelling bee. 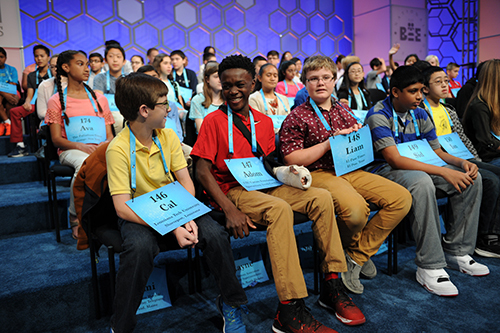 This letter contains your specific user name and password, which will allow you to log in and begin your Champion Registration, the very important process to ensure we accurately represent you at spellingbee.com, in the Bee Week app and through our other Bee Week publications. Remember, you should complete your Champion Registration within two weeks of your regional spelling bee and no later than Wednesday, March 27. Congratulations! You have been invited to participate in the Scripps National Spelling Bee through the RSVBee program. Now what? As soon as you receive your invitation, you should confirm your spot and submit payment of the RSVBee participation fee. Once we have received your payment, you will receive a confirmation email that includes your specific user name and password, which will allow you to log in and begin your Champion Registration, the very important process to ensure we accurately represent you at spellingbee.com, in the Bee Week app and through our other Bee Week publications. Remember, you should complete your Champion Registration as soon as you receive your confirmation email and no later than Tuesday, April 2. Still having difficulty logging in? Contact us.